I don’t read a lot of YA books. They have to catch my eye or be recommended by a friend who knows how picky I am with my books. I generally don’t review books unless I actually liked them or at least have parts that I liked. Something about this book made me want to read it though so my son and I decided to read it together. His review will be up on Divine Books later this month. I loved this book. It was really faced paced and made me feel like I was a preteen when I was reading it. It’s very reminiscent of the books I devoured from the library when I was little. I am a mythology/lore addict. I love reading different takes on all of it and Paul’s story really caught my attention and I read it over a weekend with a few cups of hot cider and a donut. 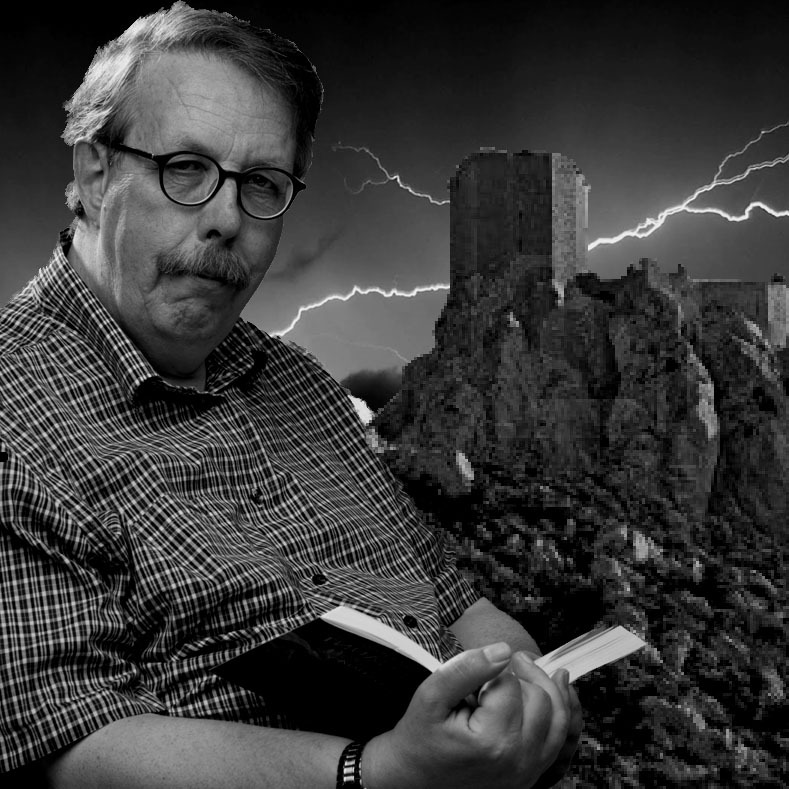 Shardfall is full of Viking magic and it a story about Muus, a slave, and his master Kjelle. Kjelle is overly envious of his thrall. Muus found a mystical shard that ends up being extremely important to the Gods survival. I loved the medieval setting and the antagonistic relationship between Muus and Kjelle. It’s fascinating to read the characters evolve and learn to work together. I was born in the year 1952, in the Dutch town of Bussum, a sleepy, well-to-do place that was home to many artists, musicians, writers and publishers. As my family were neither artists nor well-to-do, we moved when I was nine. When I was seventeen, I started my career as paperclip counter with a worldwide Dutch producer of baby food. After some months, I was finished counting, and I looked around for something more interesting. A love of books drove me to work in a small bookstore in Rotterdam. An ancient establishment, since 1837, in an old building just too far away from the city’s modern shopping center. It was a nice job, but there wasn’t any future in it. Still, I left it a licensed bookseller. In 1972 I had to do my stitch for Queen and Country, and as a bad back tied me to a desk job, I applied for a posting overseas. For the Army, that meant Surinam, then still a member of the Kingdom of the Netherlands, and one of the most beautiful. Once you’ve seen the jungle, you will never forget it. To keep it short, I stayed in business, slowly climbing the ladder, until in 1995 I changed direction. That year I joined a large educational institution, at a school specialized in Dutch language and integration courses for foreigners. That meant immigrants, refugees and international businessmen, an interesting mix. It was great work, on the one side teaching crash courses Dutch to high-powered people (we got a lot of very well-educated refugees) and on the other teaching reading and writing to people who had never ever held a pen before, let alone a computer. To see them growing was a reward in itself. Unhappily, due to changed legislation the language school closed in mid-2012. In the meantime, I had started my first book (Rhidauna) in 2009 and it got published by Zilverspoor Publishers just before I got laid off. As my age, five years from retirement, made it nigh on impossible to find something else, I started building a career as an independent author. SF and Fantasy have fascinated me since my high school days, but apart from some juvenile trash, I never seriously tried to write anything. But after several false starts and associated discouraged intervals, a spark began to grow and mid-2010, the first two parts of Shadow of the Revenaunt were more or less written. My style is probably a bit old-fashioned, Fantasy as a heroic tale with sympathetic heroes/heroines and black villains, in which good always triumphs in the end. I don’t use my characters as cannon fodder; they get hurt, but their dying is rare. One of the other elements in my writing I think important is, that both male and female characters have their own lives and goals. Most of them exist primarily for themselves, not as a prop or a love interest for other MC’s. The only character who did die, was actually a prop and I had him killed just to take that away from my lead MC. Designed by top illustrator Jos Weijmer of JW Art Studio, Maastricht (2013). 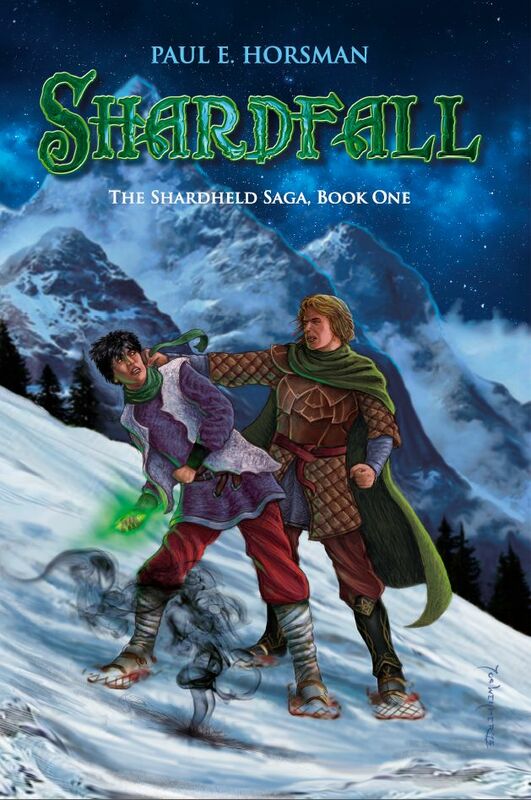 The cover gives an impression of a scene from the book, the two main male characters, Muus and Kjelle, wrestling for possession of the blue stone Muus found. The style of all my covers is purposely old-school Fantasy, to give all my books their own, distinct identity. Because of their nostalgic look, these covers have been met with acclaim among fantasy fans.